Bāguàzhǎng is one of the major internal (Nèijiā) Chinese martial arts. Bāguà zhǎng literally means "eight trigram palm," referring to the trigrams of the I Ching (Yijing), one of the canons of Taoism. The creation of Baguazhang during the nineteenth century is attributed to Dong Haichuan, who synthesized several preexisting martial arts with Daoist circle walking. Baguazhang quickly became popular in China because of its effectiveness in combat. Nearly all existing schools of Baguazhang place Dong Haichuan at the beginning of their lineage. Baguazhang is characterized by its use of spiral movements and evasive footwork, relying almost entirely on open hand techniques (“palms”) and full body movement to accomplish its goals. Baguazhang contains a wide variety of techniques, including various strikes, low kicks, joint locking techniques, and throws. A proficient Baguazhang fighter dissolves around an attack, simultaneously redirecting the attack while closing the position, or utilizing the attacker’s offensive move against him. Its circular movements, speed, and grace make Baguazhang beautiful to watch. As a meditation practice, Baguazhang produces a stillness of mind in the midst of intense physical activity. At its most esoteric levels, Baguazhang achieves the Daoist ideal of transcending the self. The creation of Baguazhang as a formalized martial art is attributed to Dong Haichuan (董海川, October 13, 1797 or 1813-1883). Dong apparently learned from Daoist, Shaolin and possibly Buddhist masters in the mountains of Hebei Province, China. Dong became a member of the Quanzhen (Complete Truth) sect of Daoism, which practiced a method of walking in a circle while chanting to quiet the mind and focus the intent as a prelude to enlightenment. There is evidence to suggest that he synthesized several preexisting martial arts taught and practiced in the region in which he lived, including Ba Fan Quan, Hong Quan, Xing Men Quan, and Jin Gang Quan, with Daoist circle walking. Dong originally called his art "Zhuanzhang" (Turning Palm). Around 1864, Dong arrived in Beijing and employment at the residence of the Prince of Su, where he began training household servants in martial arts. Later Prince Su sent him, together with his disciple Yin Fu (尹福), to collect taxes in Mongolia for nine years. Upon his return he left the Prince’s household and he began to teach publicly, giving up all other occupations to fully devote himself to developing and teaching Baguazhang. It is generally believed that among his later students he only accepted experienced martial artists. He consistently taught only the first three palms, Single Change Palm, Double Change Palm and the Smooth Body Palm and then varied the last five according to the individuals’ previous martial arts experience. During this period the art was given the name Baguazhang (eight tri-gram palm). Dong Haichuan taught for many years in Beijing, and was eventually put in charge of the security guards at the Forbidden City. In his later years he was poor and lived with Yin Fu's student Ma Gui at his lumber yard, where he died in 1882. Baguazhang became well-known in China during Dong’s lifetime, primarily because of its effectiveness in combat. Translated, “Bagua” means "Eight Trigram," referring to the eight basic principles described in the ancient metaphysical treatise the I-Ching, or "Book of Changes." Bagua is meant to be the physical manifestation of these eight principles. "Zhang" means "palm" emphasizing the use of the open hand over the closed fist. Internalist Chang Chaodong, also known as Zhang Zhao Kui. Baguazhang is one of the three orthodox "internal" styles of Chinese martial arts, along with Taichichuan and Xingyiquan. Baguazhang is based on the theory of continuously changing in response to the situation at hand. A Baguazhang fighter relies on strategy, skill, and evasive footwork rather than the direct use of force in overcoming an opponent. A proficient Baguazhang fighter dissolves around an attack; either simultaneously redirecting the attack while closing the position, or utilizing that same offensive move against the attacker. Baguazhang contains a wide variety of techniques, including various strikes (with palm, fist, elbow, fingers, and so on), low kicks, joint locking techniques, throws, and distinctively evasive circular footwork. Baguazhang is a very circular art that relies almost entirely on open hand techniques (“palms”) and full body movement to accomplish its goals. It is characterized by its use of spiral movements and extremely evasive footwork. Many of the techniques resemble those of other Northern Chinese systems, but Baguazhang's foot work and body mechanics allow the practitioner to set up and execute these techniques while rapidly and smoothly changing the direction and orientation of his movements. Baguazhang trains the student to be adaptable and to move with grace, speed, and power. The practice of circle walking, or "Turning the Circle," as it is sometimes called, is Baguazhang's characteristic method of stance and movement training. Practitioners walk around the edge of a circle in various low stances, facing the center, and periodically change direction as they execute forms. Students first learn flexibility and proper body alignment through such exercises, then move on to more complex forms and internal power mechanics. The internal aspects of Baguazhang are very similar to those of xingyi and tai chi. As a meditation practice, Baguazhang produces a stillness of mind in the midst of intense physical activity. At its most esoteric levels, Baguazhang achieves the Daoist ideal of transcending the self. The power of the eight diagram palms knows no bounds—the palms seem to strike even before the hands move. When the hand threads upward, it's like a hundred birds paying tribute to the phoenix; when it threads forward, it's like a tiger swooping downhill. Walking round and round, he is like a stray wild goose that has drifted from the flock; but when the palms are thrust forward, they can move a mountain. Now dodging, now ducking, his body slithers in and out; using the opponent's force he delivers a counter, blow, with as little effort as pushing a boat down the stream (Dong Haichuan, Founder of Baguazhang). Basic solo training in Baguazhang teaches the student how to control his or her momentum and timing in order to generate power with the entire body mass as a coherent unit (zheng ti jing, “whole body power”), so that force can be issued from any part of the body with the support of all other parts. Whole body power is applied in all categories of Baguazhang techniques: striking, kicking, grappling and throwing. All styles of Baguazhang emphasize complete physical relaxation, correct skeletal alignment, natural movements which are in harmony with the body's inherent reflexes and design, and the direction of every movement by intent. Training usually begins with practicing basic palm changes in place (stationary practice), or by “walking the circle” while the upper body holds various static postures (Xingzhuang). The purpose of these exercises is to familiarize the student with correct body alignment and the maintenance of mental focus while in motion. As training progresses, the student learns the various palm changes and related forms. The Sixty-Four Palms and other similar patterns are learned after some level of proficiency has been attained with the basic circle walk and palm changes. Some styles practice the Sixty-Four Palms while walking the circle; others practice these forms in a linear fashion. Most styles of Baguazhang include various two-person forms and drills in preparation for the practice of combat techniques. Many styles of Baguazhang also include training with a variety of weapons. Baguazhang weapons tend to be much larger than standard weapons of the same type, to increase the strength and stamina of the user. Each of Dong Haichuan's students developed his own "style" of Baguazhang, with its own specific forms and techniques, based on his background and previous martial arts training. All of the different styles adhere to the basic principles of Baguazhang. Most of the styles in existence today trace their roots to either the Yin Fu, Zheng Dinghua, or Liang Zhenpu variations. Yin Fu (1840-1909) was Dong's earliest disciple in the Prince of Su’s palace, and later became personal bodyguard to the Empress Dowager. Yin styles include a large number of percussive techniques and fast striking combinations, explosive movements and very quick and evasive footwork. Variations of the Yin Fu style have been passed down through his students and their students, including Men Baozhen, Ma Kui, Gong Baotian, Fu Zhensong, and Lu Shuitian. Yin style Baguazhang includes eight sections corresponding to eight distinct animal styles, each with eight postures. The sixty-four posture palm change is practiced in circle walking. Each of the eight animal styles is related to one of the eight trigrams of the I Ching. Each animal is a complete system in its own right, possessing its own personality, skills, applications, and functions. Each of the eight animal systems contains eight striking methods, and each striking method has seven strikes, making a total of 448 unique strikes. In addition to the eight animal systems, Xie Peiqi's Yin style includes several "unorthodox" systems, such as the Penetrating Palm and Backhand systems. There are four basic practice methods in Yin Style Baguazhang: Standing, turning, striking, and changing. These practices are the basic pillars of the style, and are all considered equally important. 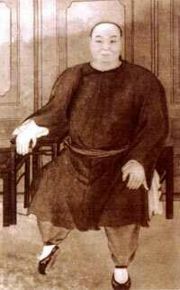 Cheng Tinghua (1848 – 1900), the fourth disciple of Dong Haichuan, was shot while resisting German soldiers during the Boxer Rebellion. Due to Cheng Tinghua's extensive background in shuaijiao (Chinese wrestling) throwing techniques, Cheng style emphasizes throwing techniques. The special characteristics of Cheng Style Baguazhang are a stepping method that uses a small hook step and a large swing step, and the Dragon Claw palm. In the Dragon Claw palm, the thumb is spread wide, the tiger's mouth is curved and pushed up, the second, third and fourth fingers are slightly spread apart, and the little finger and fourth finger are in contact with each other. Each Cheng substyle uses as its technical basis eight basic palms (Badamuzhang 八大母掌), from which more complicated linking forms are derived. Of the eight basic palms, only the first three (Laosanzhang, 老三掌) are considered to have been passed down by Cheng Tinghua himself. 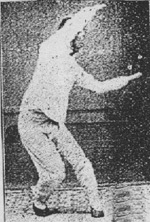 Jiang Style Baguazhang (姜氏八卦掌) is the style of Baguazhang (八卦掌) taught by Jiang Rong Qiao (姜容樵, also anglicized as Chiang Jung Ch’iao, 1890-1974) was a student of both Zhang Zhao Dong and Cheng Tinghua, both of whom were formal students of Baguazhang founder Dong Haichuan (董海川). Jiang Rong Qiao's Neijia kung fu is the most widely practiced combined style of Baguazhang and Xingyiquan in the world today. Jiang’s Bauguazhang is distinguished by an emphasis on efficiency of movement and an ambidextrous approach. Zheng Dinghua styles of Baguazhang include palm changes which are done in a smooth and flowing manner, with little display of overt power (Zheng Dinghua's movement was likened to that of a dragon soaring in the clouds). Popular variants of this style include the Gao Yisheng system, Dragon style Baguazhang, "Swimming Body" Baguazhang, the Nine Palace system, Jiang Rongqiao style (probably the most common form practiced today) and the Sun Ludang style. Liang Zhenpu (梁振蒲) (1863-1932) had little martial arts training before studying under Dong, and his Baguazhang shows little influence from other styles. He studied with Dong for about five years and also learned from Dong's other students including Cheng Tinghua, Yin Fu, Shi Jidong, and Liu Fengchun. Liang Style Baguazhang forms are the most circular in nature among the Baguazhang variants. 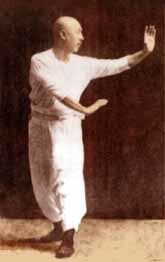 The Liang Zhenpu style was popularized by his student Li Ziming (1902-1993), who was the president of the Beijing Baguazhang Association for many years and who did much to spread his style around the world. It ia largely practiced in Beijing. Gao Yisheng (高義盛, 1866-1951), originally studied with Song Changrong (宋長榮), and later studied with one of Cheng's students, Zhou Yuxiang,(周玉祥). Gao style is one of the most widely practiced Baguazhang styles in the West; there are also many practitioners in Tianjin and Taiwan. The Gao style system, because of Gao's own martial progression over time, has a number of different permutations. Gao style divides training into two categories: Pre-heaven (先天) and post-heaven (後天). Pre-heaven training includes walking the circle and practicing changing palms on the circle; this material is similar to that found in the other Cheng styles. Post-heaven training consists of 64 linear palms (六十四掌) said to be passed down by a man known as Song Yiren (宋益仁); these palms are unique to the Gao system. Fu Chen Sung (傅振嵩, 1881-1953) was a third-generation baguazhang instructor from Henan, and a soldier under Sun Yat-sen. When the Central National Arts Gymnasium was founded in Nanjing in 1928, Fu Chen Sung was made Chief Instructor of Bagua, emphasizing in his teachings fast precise footwork and waist strength. In late 1928 or 1929, the Central Gymnasium sent Fu south to teach at the Kuang Hsi and Guangzhou provincial school, called the Liang Kuang Kuo Shu Kuan (兩廣國術館) (The Two Kuang's Martial Arts School). Fu Chen-Sung was the first master to teach northern internal styles like tai chi chuan and baguazhang in Canton. Many distinctive styles of weapons are used within baguazhang. Some, like the "scholar's pen" or a pair of knives, are easily concealed and give the advantage of surprising the opponent when they are suddenly exposed. During the Qing Dynasty, Imperial bodyguards trained in baguazhang were required to protect important bureaucrats while attending parties and functions dressed in formal robes. They adapted weapons that could be hidden in the long sleeves of their cloaks (changpao), such as conical brass knuckles, deer horn knives (lujiaodao), iron fans (shanzi), iron pens, metal yo-yos, and Rooster Head blades. Baguazhang is also known for practicing with extremely large weapons, such as 12-foot spears and the Bāguàdāo (八卦刀), or "Bagua Broadsword." Other more conventional weapons like the staff, straight (double-edged) sword (jian), "General Kwan" halberd and spear are also used. Baguazhang practitioners are known for being able to make anything into a weapon using the principles of their art. “Wind and fire wheels” (Traditional Chinese: 風火輪; Simplified Chinese: 风火轮; pinyin: Feng Huo Lun) are flat metal rings approximately 15 inches in diameter, wielded as a pair. Each wheel has an arc with a padded grip and cross-guard; opposite and adjacent arcs have protruding flame-styled blades. With one wheel in each hand, the practitioner can slash, stab, parry or disarm an opponent. Deer Horn Knives (Chinese: 鹿角刀; pinyin: Lùjiǎodāo), also known as crescent moon knives, consist of two steel crescents crossed to produce four curved, claw-like points, one of which is extended as the "main" blade. The practitioner grips the wrapped middle of the lengthened crescent with the other acting as a hand guard. 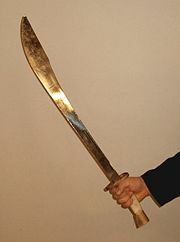 Deer Horn Knives are primarily used to trap or break an opponent's weapon so that he can be disarmed. They are typically used against longer weapons such as spear, sword, and broadsword, and have the advantage of being direct extensions of the hand so that they can be moved with great speed and precision, and can be easily concealed to catch an opponent off guard. ↑ Fei Yintao and Fei Yuliang, Classical Baguazhang Volume IV: Wudang Baguazhang Trans. Joseph Crandall (Pinole, CA: Smiling Tiger Martial Arts, 1994). ↑ Liu Jingru and Ma Youqing, Classical Baguazhang Volume II: Cheng Shi Baguazhang (Cheng Family Baguazhang), Trans. Joseph Crandall (Pinole, CA: Smiling Tiger Martial Arts, 2001). ↑ Atlanta Martial Arts Directory, Baguazhang (Pa Kua Chang). Retrieved December 2, 2008. ↑ Zhang Lie, Classical Baguazhang Volume V: Yin Style Baguazhang Trans. Joseph Crandall (Pinole, CA: Smiling Tiger Martial Arts, 1995). ↑ Sonshi, Baguazhang: Eight-Diagram Palms Shadow Boxing. Retrieved December 2, 2008. ↑ Shen Wu Martial Arts, Ba Gua Zhang. Retrieved December 2, 2008. ↑ Martial Arts YSB, Understanding Yin Style Bagua. Retrieved December 2, 2008. ↑ Great Lake Swushu, He Jinbao Interview 1. Retrieved December 2, 2008. ↑ Great Lake Swushu, He Jinbao Interview 3. Retrieved December 2, 2008. ↑ 15.0 15.1 Liu Jingru and Ma Youqing, Classical Baguazhang Volume II: Cheng Shi Baguazhang (Cheng Family Baguazhang), Trans. Joseph Crandall (Pinole, CA: Smiling Tiger Martial Arts, 2001). ↑ China From Inside, ChinaFromInside.com presents… BAGUAZHANG—Interview with Mr. Liu Jingru, Cheng Style Baguazhang expert from Beijing. Retrieved December 2, 2008. ↑ BeijingBagua.com, website The History of Baguazhang. Retrieved December 2, 2008. Chang, Lieh, and Joseph Crandall. Yin Style Baguazhang. Pinole, CA: Smiling Tiger Martial Arts, 1995. Frantzis, Bruce Kumar. The Power of Internal Martial Arts and Chi: Combat and Energy Secrets of Ba Gua, Tai Chi, and Hsing-i. Berkeley, CA: Energy Arts. 2007. ISBN 9781583941904. Gongcheng, Li. Baguazhuangzhang Jijishu. Beijing: Beijing Physical Education University Press, 1994. Liang, Shou-Yu, Jwing-Ming Yang, and Wen-Ching Wu. Baguazhang (Emei Baguazhang): Chinese Internal Martial Arts: Theory and Applications. Jamaica Plain, Mass: YMAA Publication Center, 1994. ISBN 9780940871304. Ma, Yü-chʻing, Ching-ju Liu, and Joseph Crandall. Cheng Shi Baguazhang = Cheng Style Baguazhang. Pinole, CA: Smiling Tiger Martial Arts, 1993. O'Brien, Jess. Nei jia quan: Internal Martial Arts Teachers of tai ji quan, xing yi quan, and ba gua zhang. Berkeley, CA: North Atlantic Books, 2004. ISBN 1556435061. Park, Bok Nam, and Dan Miller. The Fundamentals of pa kua Chang: The Method of Lu Shui-Tʻien as Taught by Park Bok Nam. Pacific Grove, CA: High View Publications, 1993. ISBN 9781883175016. Smith, Robert W. Chinese Boxing: Masters and Methods. Tokyo: Kodansha International, 1974. ISBN 9780870112126. Sun, Lu-tʻang, Joseph Crandall, and Helin Dong. Bagua quan xue = A Study of Eight Trigrams Boxing. Pinole, CA: Smiling Tiger Martial Arts, 1995. Sun, Xikun, and Joseph Crandall. Bagua quan zhen chuan = The Genuine Transmission of bagua quan. Pinole, CA: Smiling Tiger Martial Arts, 1996. Wen, Zhongshi, and Joseph Crandall. Yu shen lianhuan baguazhang. Pinole, CA: Smiling Tiger Martial Arts, 1996. This page was last modified on 6 May 2016, at 20:51.